The modern WC toilet unit today is designed to accommodate back to the wall or toilet pans which are hung, in this case the unit will house the frame for the WC pan to be hung. 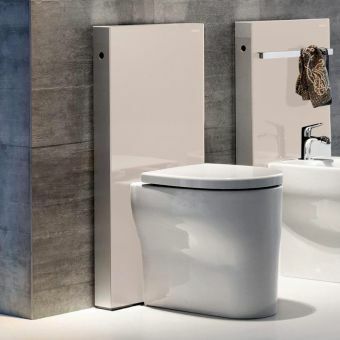 The design of these modern toilet units will ensure that your toilet will look modern and very streamlined, with the advantage of a shelf behind, useful for items such a spare toilets rolls or it can be used as a decorative surface. These modern units also have the advantage of disguising the cistern without having to put this behind a false wall; also it makes it easier if any maintenance to the cistern is required. 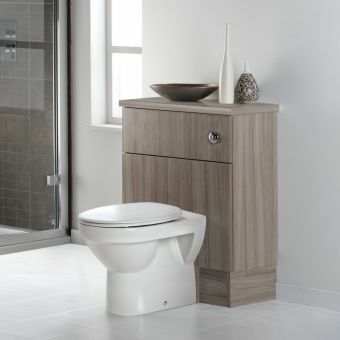 We offer a wide selection of toilet units from well-known brands in a range of designs and finishes. With the demands for water saving, naturally many of the toilet units are equipped with a dual flush system which ensures that water used is kept down to an absolute minimum. 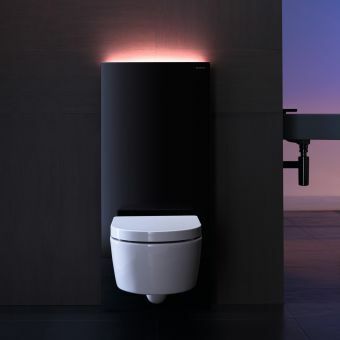 The toilet units can, in many cases, be supplied in a number of colours, these range from traditional white, even down to black for a contrasting and contemporary looking unit. 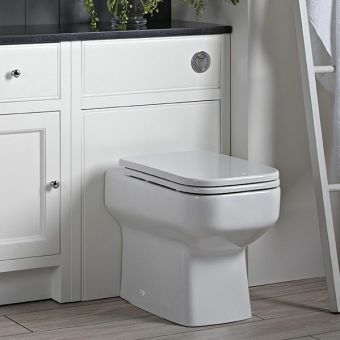 For the smaller room, we can supply a number of space saver toilet units, these are particularly useful in cloakrooms where space may be at a premium or if you are fitting an en-suite bathroom. Are you looking for a new loo? If you’ve revamped your bathroom and need a new toilet or even if you’ve just got fed up with the old one, you might be on the hunt for a new unit. Traditionally, a toilet isn’t really a pretty thing to look at. They are a functional thing needed in every home but they’re not usually known for design and you certainly wouldn’t make a feature of one! But in modern times, toilets have become more attractive as well as practical. And the ability to use a unit surrounding the pipes and cistern of your toilet gives you the chance to hide the unsightly fixtures that come with your toilet. Toilet units come in wood, acrylic and metal and can give your toilet a sleek look and really make it part of the overall decor of your bathroom, rather than just a practical addition. You can also get designs with shelves behind the toilet or a cupboard to give you extra storage space if needed. Wood gives your bathroom a touch of warmth, using materials like oak and walnut, and it will lend a more traditional feel to your room. If you want to make a bold statement, a brightly coloured or dark coloured unit will contrast against the white of your toilet and make it more of a feature in your room. A glossy finish like acrylic is another option, but these high-shine materials do tend to attract dust and show up marks, so it might not be too practical if you have little ones in your home! One of the main reasons people choose to install a toilet unit is to hide pipes and cisterns. These are a necessary part of your toilet but even though the design has come a long way since the invention of the loo, they are still not the most attractive things to look at. 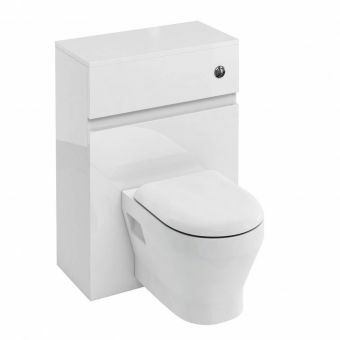 With a toilet unit, you can just keep the toilet itself visible and hide the plumbing within an attractive unit. 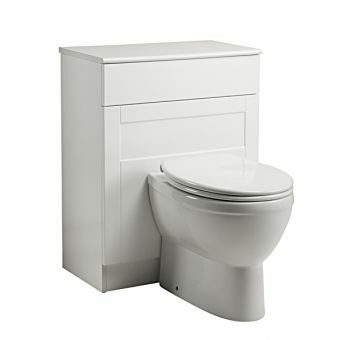 Another good side to installing a toilet unit is that there is less hassle involved. Usually, installing pipes and cisterns means drilling frames into the wall or fitting a partition to cover the back of a wall mounted toilet. While the pipework is hidden, it can still be easily accessed if you need to do maintenance or repairs. 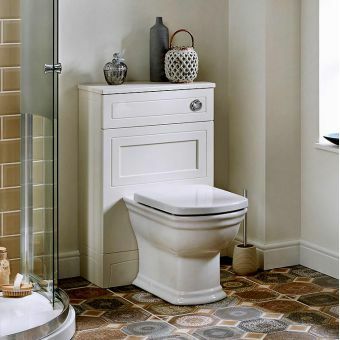 There is a wide range of toilets and toilet units available, so you can rest assured there will always be something to fit your bathroom space. Typically, units are between 76cm and 85cm tall and about 50cm to 70cm wide. There isn’t much variation in these standard sizes but it is always worth carefully measuring the space you want to install your toilet unit to make sure your chosen unit will fit. If you’re thinking about adding a toilet unit to your downstairs cloakroom or en-suite, but don’t think you'll have enough space, think again. 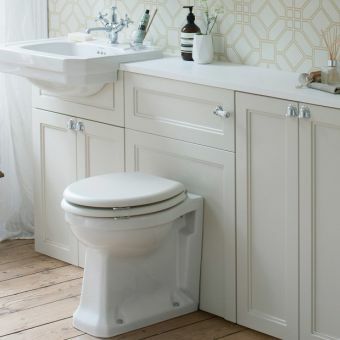 There are a number of space-saving designs which will fit into your cloakrooms or smaller bathrooms to give you a sleek look without using up the floor space. Some designs even come with built-in cupboard space, so you can save space while also clearing away the clutter from your cloakroom. Generally, Toilet Furniture Units come in two different types. Fitted furniture is normally units that are connected together. So you might see the toilet unit and the matching basin units and a cupboard all looking as though they are one big unit. These units are ordered separately and can be mixed and matched to make a variety of configurations. Generally, you will have on worktop that covers the all the units giving the impression that the units are all part of the same units. 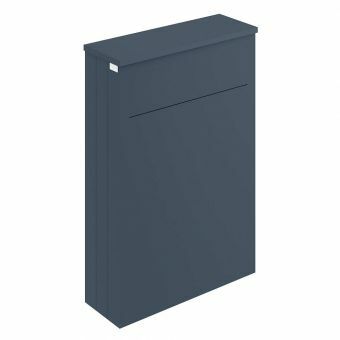 When you are choosing the units you require you will have the option on the page to see the other matching units and find the correct worktop for the units you are adding to your basket. For traditional fitted furniture, we would recommend looking at manufacturers like Burlington Bathrooms and Roper Rhodes. For contemporary fitted furniture then we have Britton Bathrooms and Noble Bathrooms. Modular WC Units are standalone units that are not connected to other furniture. They may be used in conjunction with other furniture and placed close by. 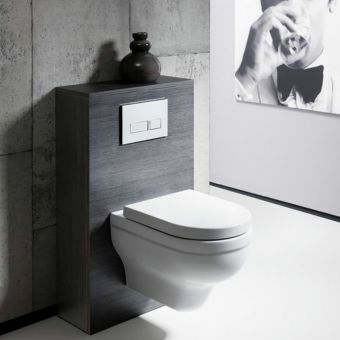 For contemporary Toilet Units, we would recommend looking at Geberit and Britton Bathrooms. 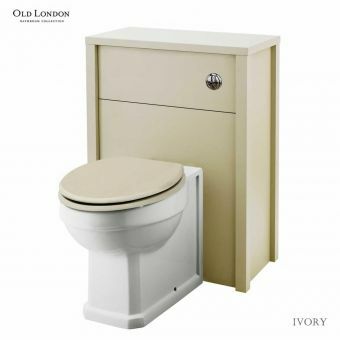 For traditional Toilet Units then we would advise checking out Burlington & Old London. 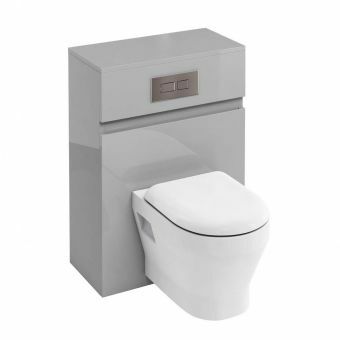 The majority of the cistern units we sell come with their own concealed cisterns and buttons. 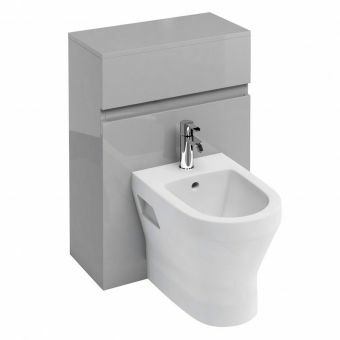 Some manufacturers do not specify the cistern with the unit, so we would recommend using a Geberit Furniture Cistern. If you are not sure please refer to the product description as it will confirm what comes with the unit. With traditional WC units, you will typically have either a small flush button or a choice of a lever controlled cistern. With contemporary cisterns, there will be an option for either a small flush button or a larger flush plate, similar to the ones you see on a wall hung concealed cisterns. 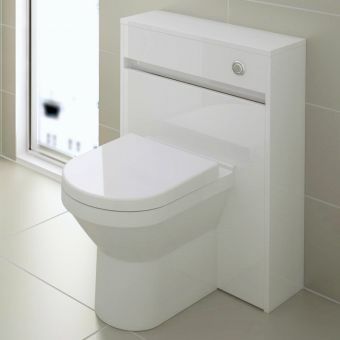 The main draw for most people for a toilet unit over using a concealed cistern in the wall is that the toilet unit gives you a greater degree of freedom to access and maintain the unit. As the cisterns are located in the unit you have the ability to take the top off the unit and conduct any repairs needed. 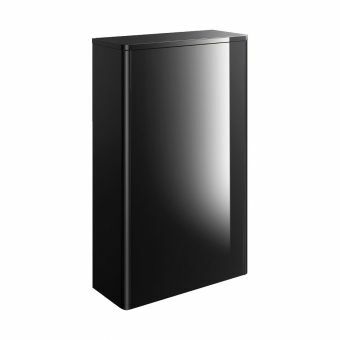 The first of these we saw was introduced by Geberit and it was essentially wall hung frame and cistern packaged in steel and glass that went against the wall as opposed to within the wall. It’s really handy if you do not have space in the wall cavity to use a wall hung frame and cistern, and it really becomes a beautiful focal point of your bathroom. 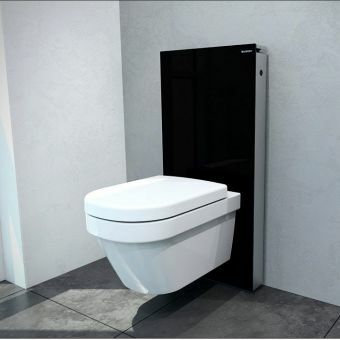 Since the inception of Geberits Tablet Cistern, we have seen back to wall version introduced and Britton Bathrooms are now producing their own. 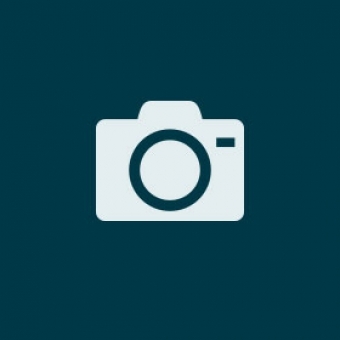 Eco-friendly designs help you save the planet – and money! 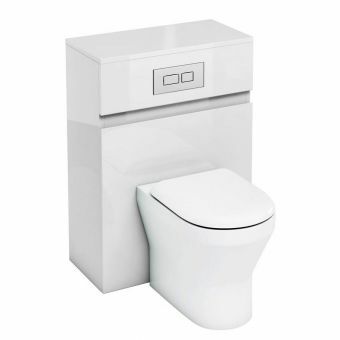 As saving water by using less is important to many homeowners, most of the toilets sold as part of a toilet unit package come with a dual flush design. This means you can use either four or six litre of water per flush, which cuts down on waste and keeps water use to a minimum.